This is a die-cut National Automobile Club porcelain sign. This particular National Automobile Club sign is predominantly black and white. 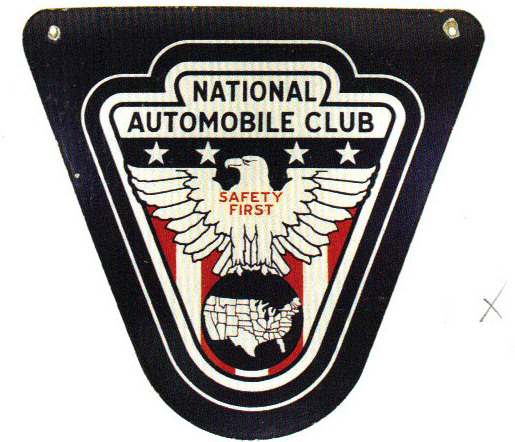 It reads, “National Automobile Club, Safety First” and features an eagle perched on top of an outline of the United States.